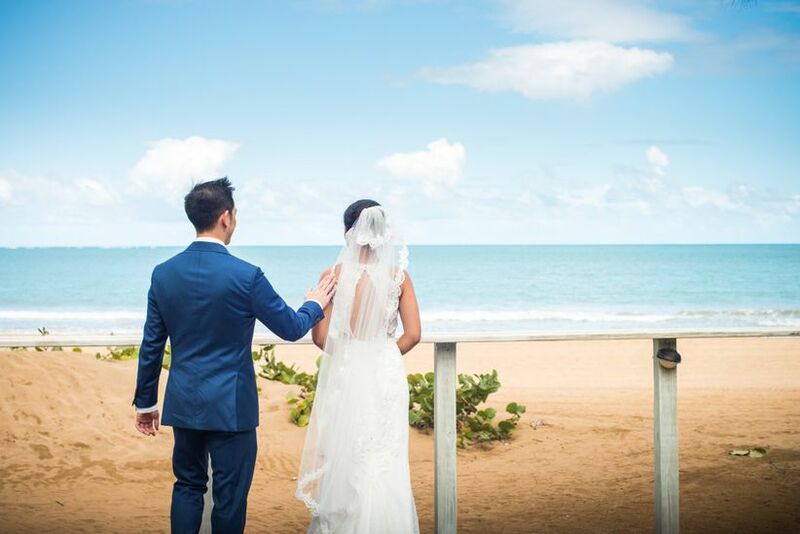 If you're planning a destination wedding or honeymoon, here's why hiring a travel agent is a total must. When you're planning your honeymoon — or if you're throwing a destination wedding in a remote locale — you'll quickly learn that coordinated travel arrangements are incredibly complicated. But do you really need to hire a travel agent to help? The answer is a resounding yes. 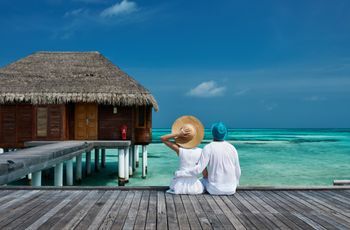 There are so many reasons why using a travel agent can be a major life (and time) saver—some are obvious, but there are a few more under-the-radar ways that a travel agent can make coordinating your honeymoon or destination wedding a breeze. Check out these reasons why you should use a travel agent when planning your honeymoon or destination wedding. It might be hard to believe, but using a travel agent’s services isn’t going to bust your budget. Typically, travel agents receive most of their income through commission from hotels, resorts, airlines, and cruise lines—so working with a travel agent can be free in some cases. Some travel agents do charge booking or service fees, which may be applied to your final travel costs. When hiring a travel agent, be sure to find out if he or she charges, and if so, how much—it’s likely not as pricey as you’d expect, and certainly worth it. They have first-hand knowledge on destinations, accommodations, and more. A big part of a travel agent’s job is, you guessed it, traveling. They frequently go on what are known in the industry as familiarization or FAM trips, where they familiarize themselves with a particular location. They stay in the hotels, eat at restaurants, try different excursions and activities, and basically become experts in the area. 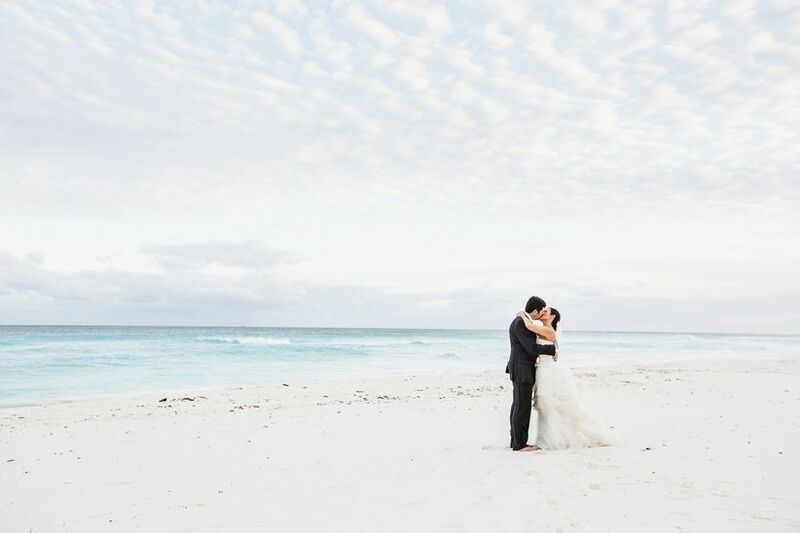 They’ll use this insider knowledge to help you pick the best location and provide accurate and helpful destination wedding or honeymoon planning tips. They can help tailor your experience. You love scuba-diving, want to stay at a private resort, and are total foodies. Perhaps you’re interested in a cruise honeymoon. Or you want to plan a totally luxe European destination wedding with 10 of your closest family members and friends—but you’re on a budget. A travel agent can use his or her wide breadth of knowledge to take your seemingly crazy travel dreams and customize an experience that’s perfect for you—all within your price range. They’ll help you save money. Why use a travel agent? It may sound counterintuitive that spending money on a travel agent (when they do charge fees) will actually save you money in the long-run, but it’s completely true. Travel agents have the ability to create packages, bundling together flights, accommodations, excursions, and more—which will help you save money. They also have access to discounts because of their relationships with certain hotel companies or airlines. They’re basically a destination wedding necessity. Planning a destination wedding is basically planning a huge group vacation. That’s a lot of logistics, and it can be super-stressful for you to handle solo. 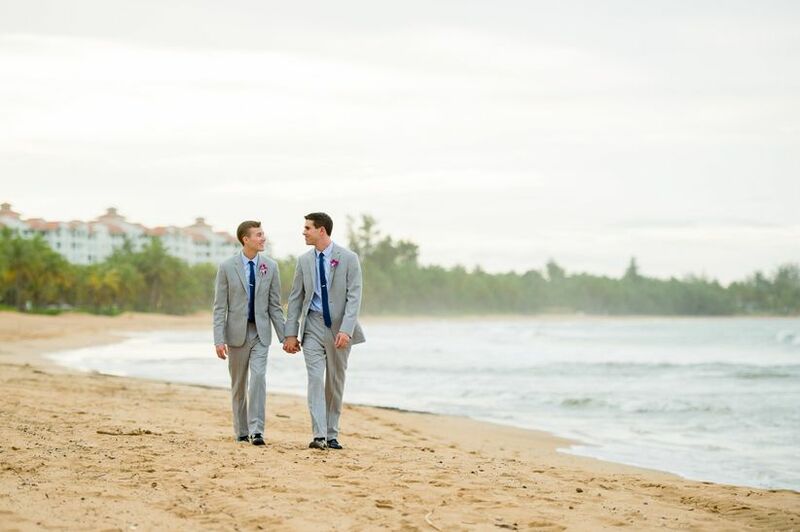 Travel agents can be lifesavers when it comes to destination weddings. They can get your guests group discounts on airline ticket prices, and can work with an airline to get a set fare so your guests aren’t subject to the ever-changing ticket pricing. Travel agents can also help you reserve room blocks for your loved ones. Because of their close relationships with sales managers at hotels, they can pass along discounts to your guests on rooms, amenities, and more. When it comes to destination wedding or honeymoon planning, you’ll probably have a lot of questions. Well, a travel agent knows where to get the answers. 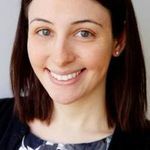 So instead of spending hours on hold with your destination wedding hotel trying to get a question answered about welcome bags, or trying to connect with a concierge about restaurant reservations for your honeymoon, your travel agent will know exactly who to contact to get the answers you need—and quickly. They can get you the celeb experience. When it comes to honeymoon planning, you probably want your vacation to be top-notch. A travel agent can use his or her connections to get you upgrades—whether it’s a premium hotel room, champagne upon arrival, a private meal on the beach, or other special experiences. You’ll feel like a total star while on your honeymoon, with the help of your travel agent. They can help in case of an emergency. And if you’re still wondering why you should use a travel agent, there’s this: Travel agents are your point of contact in case of emergency. So if your flight is canceled, if you’re worried you’re going to miss your connection, or if some other mishap occurs, your travel agent has got your back. All you have to do it call your agent, and they can get to work on rerouting you. No standing in line at the airport, no waiting on perma-hold to speak to a representative. Your travel agent will make sure you get to where you need to be—which is absolutely crucial, whether it’s your wedding day or your honeymoon.